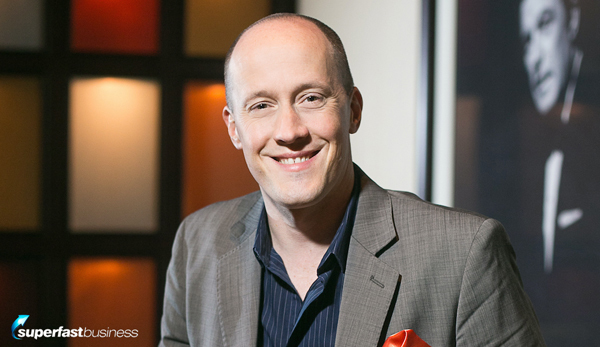 James welcomes to the podcast entrepreneur and author Chris Ducker, whose very recent book “Virtual Freedom” fearlessly dispels common myths about virtual staffing and provides an honest guide to building your dream business. 03:37 – Who should be reading it? 09:27 – Skill first, or attitude? James:James Schramko here, welcome to SuperFastBusiness.com. Derick decided to introduce today’s guest Chris Ducker, how are you? Chris: I’m good James, how about yourself mate? James: Good. How many people confuse your name with the famous Peter Drucker? Chris: I don’t get that many. I get more issues with the black comedian, Chris Tucker. That one happens quite regularly. I’m very quick to point out that I’m not the actor that only makes a film with Jackie Chan every time he runs out of money, you know what I mean. I would prefer the Peter Drucker one, I have to be honest. James: Well now that we’ve got transcriptions, we should pick some nice search queries to both of them. Now you’re getting a bit famous lately, you’re getting close to the top sellers list on Amazon from the book that you launched yesterday, hot off the press, and you might want to tell us all about this book in a very short summary, and then we’re going to dig in a bit, ‘cause I’ve read the book. Chris: OK, good. I’m happy to know that. “Virtual Freedom: How to Work with Virtual Staff to Buy More Time, Become More Productive, and Build Your Dream Business.” And it literally is the continuation of the outsourcing section of the 4-hour work week. That’s what it is. It’s where to find, how to hire, how to train, how to manage, how to motivate, how to pay, and how to really just inject a virtual staff into your business that will run on support and grow it. I’ve been in an outsourcing business for 10 years, and I’ve been kind of within the online space for 4 years now, pretty solidly, almost 4 ½ years. And the VA staff is what is sort of become “Internet-famous” for. So it was right for me to come out with this book, this particular moment in time and fill in some of those gaps. And it is doing very well, which is really nice to see ‘cause I’ve put a lot effort into it. James: I’m not at all surprised. We’ve caught up several times in several countries actually. James: Pretty cool. Even though I sort of heard of you for a few years, and I wasn’t sure what to make of you, when I first, you know just prior to meeting you. But when I did get to meet you, I found a pretty sensitive guy there. You’ve actually got some similar view to me on the culture and get the team performing well, but also for them to be happy. I want to discover some of the things that I picked up from going through the book. And I’ve also wanted to cover some of the topics like who is this book for. And just before you answer that, I really, totally get where you’re coming from, as you go in deeper on the 4-hour work week, because as I’ve sort of said, you’ve got a girl Friday, and I know that the services that he recommended in that book got absolutely chucked up, because from memory, that’s when I started down this path. About then, I put in an inquiry, and there was a big waiting list. So let’s just firstly cover this: Who should be reading this book? Chris: You know, it’s everyone and anyone that is currently either (a) experiencing overwhelm in the running of a business, or (b) not experiencing the overwhelm but perhaps want to get an additional help that they know they need to be able to take everything to the next level. It’s for SMEs, it’s for solopreneurs, entrepreneurs, consultants, authors, speakers, online entrepreneurs, Internet marketers, bloggers, I mean you name it. Anyone that’s really doing anything that could do with a helping hand, particularly an online-savvy helping hand to really streamline the day-to-day running and the growth of their business. James: You have a business called Virtual Staff Finder. James: Is that already starting to get busy since the book came out? Chris: It’s still maybe a little too early to tell. I mean we have definitely seen a pretty interesting spike in sales in the month of March. I did a fair amount of podcast interviews and had a little bit other press and things like that and the run up with the book coming out. And we have seen a spike. But it’s going to be interesting now that the book is actually getting sent out from Amazon and Barnes and Noble and you can pick it up from the stores. Now that it’s “out there,” it’s going to be interesting to see what sort of knock on effect it has. I mean I can only assume that it’s going to help business. James: It’s going to be massive. I think it’s a super smart thing to do is to create a fat pipeline from Amazon to be getting yourself on podcast talking about it. Rolling up a red carpet to the front door of your supply. Chris: Yeah, I mean I do want to clarify, it wasn’t the only reason I wrote the book but…. James: No, I know that. I know that. And you actually go to great pains in the book to say that (a) you point out your buyers, (b) you give people alternative choices and the approach they might take to getting people. I know that the biggest questions I get are where do I get people? How much do I pay them? What can I reasonably expect someone to be able to do? And you covered all of these topics, which I thought was wonderful. It’s definitely one of the most comprehensive guide that I’ve seen in terms of getting behind, especially the Philippine culture. I’d say that it has a pretty strong leaning towards that culture but that’s because it’s such an amazing place to have your team because of the English speaking and the way job are charged between Western countries. It’s such an in-depth report and to top that off, pretty much everything I’ve read from everywhere else is utter crap, and so disconnected from reality. They say you can hire someone for $250 a month, and I know you don’t get a flushing toilet in a crappy apartment for $250 a month in the Philippines. You’ve put some reality into the picture, and especially, you’ve myth-busted the idea that you can hire one person who can magically do everything in their business while you just kick back in the hammock. Chris: Yeah. I mean that was actually one of the main reason why I wrote the thing in the first place. To be really really honest with you, because I just got sick and tired of the so called “experts” or “gurus” online, saying you can get one guy from the Philippines for $1.60 an hour to do everything that you need done for your business. And I call a massive amount of BS on that, and I have done for many, many years. And I think people now are finally starting to accept the fact that if you want bring good quality talent into the business to help grow it, they have to hire for the role, and not for a bunch of tasks. And yet that Super VA myth, as far as I’m concerned, I’d kick the crap out of it now and say I’m done, you know what I mean. James: Well there’s also, you mentioned something else and you’re really clear on this and I’m just nodding my head when I read this part, is that these people aren’t robots. They’re actually people. Chris: Exactly. You don’t look at a virtual assistant as a program that you hit the start button and it sort of gets itself up and gets going. Just like with any other type of employee, whether they’d be sitting in the same room as you, or across the other side of the office from you, you need to spend time with them. You’ve got to train them, you’ve got to motivate them, you’ve got to hold them accountable, you’ve got to be sometimes a shoulder to cry on if need be, you’ve got to be supportive, you’ve got to be a nice person to work for. If you do all those things and a whole lot more, then you’d be off to the races. James: Yeah. I love the races. Chris: You do love the race, absolutely. James: I love the race, but we’re talking about Own The Racecourse here of course; my idea is that it’s good to own things. Now, I view my team as a team and I absolutely love the people in my business. They make the business special. They will take this podcast and they will transcribe it, and illustrate it, and publish it, and then they’ll share it on other sites and even prepare the emails that go out. My main role is to do the talking, which is definitely the part that I enjoy the most. The power of having an amazing team who are specialists at each of the roles, and there are several people involved in the process, we’re able to create things and share the message. Chris: Yeah let’s do it. I’d love to hear it. What should you look for when hiring? James: OK. Number one, I’m just being cheeky by the way. I always like to put a bit of controversy. I definitely don’t want to do your run-of-the mill podcast with the author/lucky promo kind of thing. That’s not what we’re here for. We’re here to share a good message. OK. You suggest a high for skill first and foremost, but I prefer to hire for attitude first and foremost, because I have a very long time frame with an employee and I’m happy to induct someone and bring out their strengths and then train them.I guess that’s one thing we do slightly differently. Chris: Well I mean for me, an attitude for me, I mean there’s a part in the book actually, which I talked about the the most important components of a hire. First one being skill. The second being the ability to invest in themselves. So I always ask that question when I interview somebody. What have you done in the last 6 months to invest in yourself, to better yourself? And I want to hear, “Oh, I’ve read these books.” Or I listen to these podcasts, or I went to this course in a community college or the library, or something, right? And then lastly, I talked about attitude. Now it doesn’t mean that I don’t think attitude is important, I think it is. But I think a lot of people when they get going with outsourcing for the first time, I think a lot of people are in a bit of a rush to start offloading tasks. James: Yeah I think we’ve hit on the point here. It really depends on how quickly you need the results, how long a time frame you’re approaching it, and what the long term view it’s in , if you are actually resourced and able to train. The reason we’ve done really well is that we have been going for 4 years and we had time to bring in people, to train them, to foster their strengths, and to discover them. A lot of people who I started for one thing, ended up in something else ‘cause we have a philosophy in our business. If you can identify a part in the business that you would rather be doing than what you’re doing now, let us know. So we can move you around and then we can replace the role you were doing. Chris: And that right there is the exact reason why you’ve been so successful with your virtual team. I guess it’s that focus on cultivating that culture within your company and allowing people to shine on their own merits and do things that they like to do. Somebody’s going to be way more productive, is going to bring way more value to your business if they’re doing what they enjoy than if it’s just “doing a job” or “doing a task,” you know what I mean. So I love the fact that you have that little guideline internally, it’s great. James: I actually picked that up from a mega company that I used to work for. I was that person who wasn’t allowed to move from one role to another, and I ended up leaving the company. James: We don’t have much churn, which is the people who come and go, because we let people move around, and we hire really well. Chris: I love the way you keep saying it out like that. It’s great! James: Right. One of your questions, I just grin and say oh that is just so Chris. So how are you going to help my company? And it’s very focused. And I know it’s all about you, but when we’re hiring, I like to focus more on the candidate and their behavioral history. So less hypothetical, more behavioral history. So it’s like, when you come aboard, what are you going to do? I think it’s really easy to answer that one or to fidget. It’s much harder to answer, so in your last role, what sort of challenges did you have, and what happened, and then what happened, and what did you do then, and how did you react, and how did that make you feel?So these are more behavioral-based questions. It’s really just a refinement on the technique that you outlined. Chris: Yeah, I think you bring out some good points there. Everybody has their own style, and that’s what makes interviewing such an art form and it’s just like anything else. Once you do it enough, you get it down. You know what works and what’s not going to work. And for me, you don’t do it pull punches actually. When you get feedback, and you’re teaching and coaching and doing all the stuff you could do so, so well at such a high level, you don’t pull punches. And I’m the same kind of guy, but I think I have a little bit more brash attitude. James: Yeah, you have more show I think. You’ve built such an incredible business because of that. Oh, this just sounds like a lovefest. OK, let’s move on. James: Now, I’m interested in how long did it take to put this book together? Chris: Oh, too long, too long. This is probably a conversation for another episode completely. James: Well, I’m just going for the gold here because a lot of the people in my audience, myself included, are interested in the process you’ve just been through, and we’re happy to do a second episode, especially when you got more data ‘cause it’s day one and I think it hit the top 500 or something. Chris: I think we’re sitting at around 308. James: Whoa! Smoking hot! And I’d love to see you hit the top. It’d be good if every single listener immediately goes to Amazon and buys the book. That would give it a nice little spike. James: Because you deserve to go up. But what it does do is, it’s basically a great positive result in our community where someone who has significant expertise has taken the arduous task of documenting and putting forward good information where it’s sadly lacking, and gets it out to the market, and the market receives it and says, “Yes. Yes, Chris this is a good book. We’re going to buy this book because it’s good.” I actually bought the Kindle of it as well. I can’t have too many copies of this thing. I’ve got the advanced copy. But I want to see you successful because it means everyone in our community could do a similar process and I think we absolutely should have a follow-up interview as to the process and what you learned from the launch, and what you’d do differently perhaps. Chris: Yeah. The planning of the launch was not that tough. Like I kind of knew what I needed to do, how I was going to do it, and who I was going to call on to help me execute it. Actually, the toughest part of this entire thing, James, was putting the book together itself. Writing a book is not like writing fifty 1,000-word blog posts. James: Man, I don’t write one blog post. I talk. Chris: I see. Now, that’s something that I did for about 40% of this book. All of the case studies, all of the spotlights in the book were interviews that I did, with the entrepreneurs that I highlight for their success, and to tell their stories of virtual freedom. I’ve had so much great feedback from people in regards to those case studies. I ended up cutting three or four out, I wish I didn’t now; I should’ve left them in there.